Edward Gilbreath is the author of Reconciliation Blues: A Black Evangelical’s Inside View of White Christianity, Birmingham Revolution: Martin Luther King Jr.’s Epic Challenge to the Church, and Gospel Trailblazer: An African American Preacher’s Historic Journey Across Racial Lines. 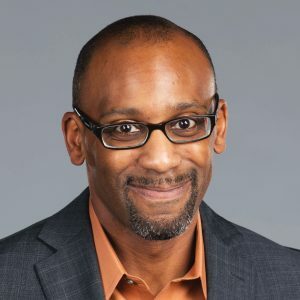 An award-winning journalist formerly with Christianity Today, he currently serves as the executive director of communications for the Evangelical Covenant Church. Ed received his bachelor’s in communications from Judson University and a master’s in philosophy of history from Olivet Nazarene University.